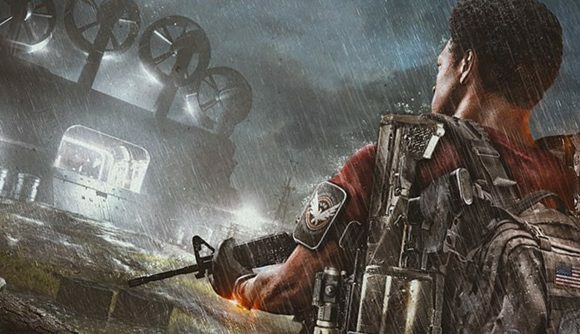 During today’s State of the Game stream – and in a little leak before – Ubisoft revealed the release date for Tidal Basin and World Tier 5 in The Division 2, along with some details on what to expect from the updates. This is the first big content add-on for the game, as well as the first step on the year 1 roadmap, and it promises plenty of new stuff to enjoy, particularly in the endgame. If you’re in World Tier 4, you’ll immediately get an indicator to head to the new stronghold. Once you’ve completed it, you’ll be brought to World Tier 5. Gear score max will increase to 500, and you’ll get your first gear set drop from the final boss of Tidal Basin. This all comes on April 5 as part of the Invasion – Battle for D.C. content update. As the name implies, you’ll also see new stuff around invaded missions, too – including a weekly reset on World Tier 5. Invasions will hit side missions like those around the Lincoln Memorial and Jefferson Plaza, and invaded missions now have their own difficulty settings. This update is also set to bring the expected weapon balance changes. Check out more details on The Division 2 gear sets and The Division 2 exotic weapons if you’re looking for more. The next major addition is set for the summer with D.C. Outskirts: Expeditions, which will launch a week early for owners of The Division 2 season pass.